Save $5 on tickets every Friday now through January 4! Discount applied at checkout. Please note: A portion of this exhibition contains mature content. The first retrospective of John Waters's visual arts career in his hometown of Baltimore presents more than 160 provocative photographs, sculptures, and video and sound works. The exhibition concludes with a gallery devoted to ephemera, including objects from Waters’s home and studio that inspire him, and three peep-shows featuring footage from his rarely seen underground movies of the 1960s. Waters’s renegade humor deployed through his works reveals the ways that mass media and celebrity embody cultural attitudes, moral codes, and shared tragedy. Exhibition highlights include a photographic installation in which Waters explores the absurdities of famous films and a suite of photographs and sculpture that propose humor as a way to humanize dark moments in history from the Kennedy assassination to 9/11. Waters also appropriates and manipulates images of less-than sacred, low-brow cultural references—Elizabeth Taylor’s hairstyles, Justin Bieber’s preening poses, his own self-portraits—and pictures of individuals brought into the limelight through his films, including his counterculture muse, Divine. Other themes explored include artist’s childhood and identity, a satirical consideration of the contemporary art world, and the transgressive power of images. This exhibition is generously supported by The Alvin and Fanny B. Thalheimer Exhibition Endowment Fund, Suzanne F. Cohen, Robert E. Meyerhoff and Rheda Becker, Clair Zamoiski Segal, The Andy Warhol Foundation for the Visual Arts, Constance R. Caplan, The Charlesmead Foundation, Agnes Gund, Martha and Tad Glenn, Amy and Marc Meadows, The Pearlstone Family Fund, Marianne Boesky Gallery, New York, and Sherry and Stuart Christhilf. BMA Members receive free tickets to this special exhibition. 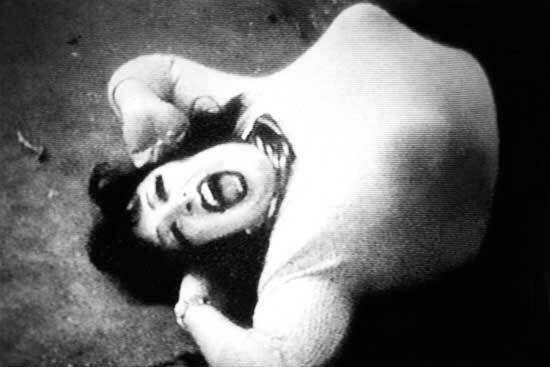 See the first retrospective of John Waters's visual arts career in his hometown of Baltimore.